to Stroud Stories, at the Stroud Valley Artspace, 8pm Sunday night, where I am honoured to be headlining a fabulous line up, as part of the Stroud Site Festival, and will have some copies of my book there too. And then on Tuesday I'm being allowed to talk and talk about short stories as part of Spread The Word's Short Story: Big Picture event, where I am on a panel which includes Bloomsbury editor Helen Garnon-Williams, Ted Hodginkson, the online editor of Granta, and Di Spiers, the producer for readings on BBC Radio 4, all chaired by BBC Radio producer Aasiya Lodhi. The event is 6.30-8.30pm at the Free Word Centre and I believe there are still a few tickets left. Will have some copies of my book there too! Now, delving into ancient history, way way before I had any books, before I had published anything at all, around 15 years ago, when I began trying to write short stories, what I did was take workshops. As many as I could. Workshops with amazing teachers who showed me what a short story could be and helped me write my first, then my second... I went to workshops in the US and the UK, and they were invaluable. Aimed at writers of all levels, there are weekly exercises and the tutors provide detailed feedback on your work. You will also receive critiques from fellow students. The course, whilst being dynamic and challenging, takes a nurturing, encouraging approach. At the end of the course you should have a story of publishable standard, along with several more pieces of fiction to take forward. For details on the next course see the above link. The next course starts on June 11th and costs £145 (or £125 if you bookby June 4th). Find out more here. Frankly, if I wasn't going abroad in June, I'd do it. There's always always more to learn, even for those of us who have been at it for 15 years! I had a fantastic time as the guest "commentator" at the National Flash Fiction Day flash fiction slam last Wed in Oxford! Thanks so much to the inimitable Dan Holloway for organising, lovely to meet Twitter friends Pete Domican (who blogged about it here), Emily Cleaver and Sue Howe and see old mate Jon Pinnock, all of whom read beautifully, and Rebecca Emin, who judged beautifully! And huge congrats to flash slam winner Kevlin Henney - who read beautifully too, and entertained us immensely! He was in a very good mood the whole way home to Bristol, where he kindly dropped me off. A wonderful night had by all! Roll on next year's NFFD! In other good news, the longlist for the Bristol Short Story Prize was announced today: 40 stories were longlisted out of a total of 2,304 entries. Some familiar names, many new to me! Congrats to all, fingers crossed for the shortlist! Happy National Flash Fiction Day - And A Giveaway! It's National Flash Fiction Day!! Here's hoping you all have a good one... head over to the official website to find out what's going on around the country! A huge round of applause for founder and organizer Calum Kerr, what a job this man has done. Wow. Check out his Flash Flood journal, with a veritable cascade of fantastic flash fiction posted since midnight last night, and ongoing! The Thresholds short story forum has a great article celebrating the day, and Twitter-length flash fiction that has been submitted.Also: the amazing anthology he has produced, Jawbreakers, which includes stories by Ali Smith, Ian Rankin, and more (including me) is FREE to download just today for the Kindle. Get it here. 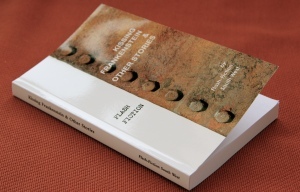 And the Flash Fiction South West's gorgeous anthology, Kissing Frankenstein and Other Stories, is available here. And me? 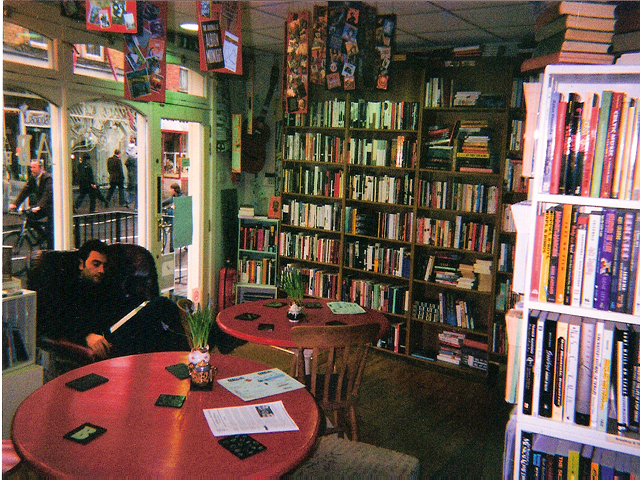 Well, I'm heading off shortly to Oxford to the gorgeous Albion Beatnik bookstore (see the pic) for Eight Cuts' Flash Fiction Slam which starts at 6.30pm tonight, a feast of flash fiction slammers going head to head (not me, I'm too cowardly). I shall be offering gentle comments on the proceedings and some stern words about the joys of flash fiction. Come join us! This is a pic of them on my desk... they were published from the 1980s onwards (no flash fiction was not invented in the 21st century), all edited by the indominitable Robert Shaphard and James Thomas, and include luminaries such as Grace Paley, Aimee Bender, Barry Yourgrau, and many many more. Happy happy flash fiction day! I think I may have written a blogpost with this title before but anyway it's still all about flash fiction because next Wednesday, may 16th, is the first ever National Flash Fiction Day! Brainchild of Calum Kerr, he has proven himself not just to be a person of endless creative ideas but also supremely organised and efficient in executing them and inspiring others. NFFD has gathered momentum worldwide, not just in its home country here in the UK. So, what does it mean? Well, firstly, there is a National Flash Fiction Day anthology of brand new flash fiction, Jawbreakers, which includes stories by these lovely folk - and me! There are events up and down the country - and I'd like to invite you to the event I'm involved in, a flash fiction slam in Oxford organised by the inimitable Dan Holloway of eight cuts at the fabulous Albion beatnik bookstore. Kick off is at 6.30pm, free entry if you bring something to read! 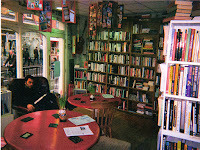 Come and entertain us with your flash fiction, or come to be entertained! I'll be reading something from my new book (did I mention I have a new book? :) ) and participating in the general merriment. As if Calum wasn't busy enough - he's even launching a journal for NFFD entitled Flash Flood and wherever you are in the world, he wants your submissions of flash stories of 500 words or less! Find out more here. To be honest, I'd had a few book launch anxiety dreams, but it exceeded all my expectations, a gathering of people from all walks of my life here in Bristol - and some from much further afield, thank you Elizabeth Baines, Calum "Mr National Flash Fiction Day" Kerr and Elaine Chiew for travelling so far! Yes, she is no upright piano! ... my mother, who had fashioned this lovely hat for herself, although some doubted she actually was my mother ... :) The star of my book trailer, it was great to have her there, and she hadn't known that I dedicated the book to her, so I think that was a nice surprise for her. Half way through, my publisher, the simply superb Richard Jones, of Tangent Books, made a speech, talking about difficult times for publishers and the need to support beautiful bookshops like the one we were in at the Arnolfini, and then he said some embarassingly lovely things about me. Becky Jones the Biochemist, from the biochemistry lab at Bristol Uni that I was writer-in-residence in. Wonderful writer friend Elizabeth Baines and her lovely partner John. After the bookshop closed, we adjourned to the Arnolfini cafe and then the remaining few moved on to Las Iguanas for Mexican food, cocktails (and a cup of tea for me). I'm not generally much of a party person, but last night was very special, just amazing - thank you Richard for throwing me the launch, and thank you to everybody who came and everyone who couldn't make it but was there in spirit! 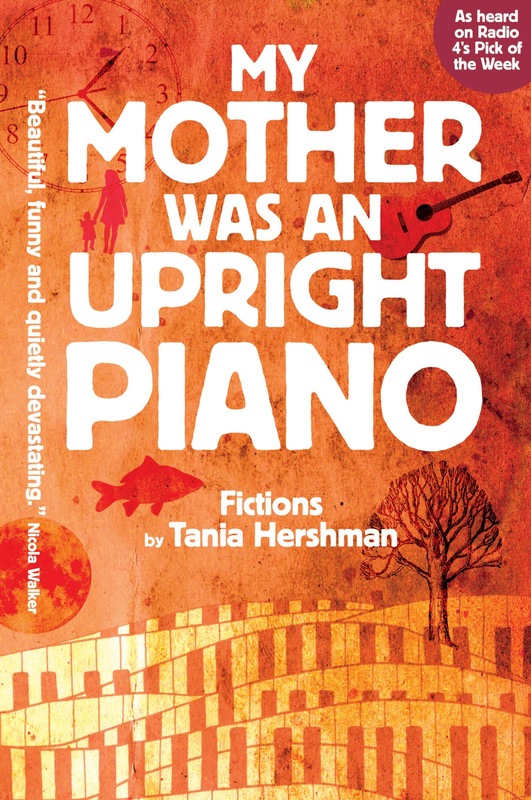 My Mother Was An Upright Piano: Fictions is launched! And if you are in or near Bristol, do come and raise a glass with me at my book launch at Arnolfini's bookshop tonight, Thurs May 3rd, 6-7.45pm! There are enough for all of you! 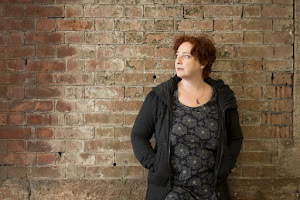 Ok, now you can head over to my newly-redesigned website taniahershman.com ...!